FBI busts $465,000 credit card scam ! Federal investigators arrested and indicted a former Bridgeport resident who they say orchestrated a scam in which foreign nationals applied for and received credit cards on which they charged up to $465,000 worth of goods before leaving the country with the banks holding the tab. A federal grand jury late Wednesday indicted Mohammad Takhtarawanji, also known as Abu Terak, 58, formerly of Bridgeport and the man the FBI said headed the operation that recruited Arab nationals. Takhtarawanji faces a charge of conspiring to commit wire fraud and the reputed head is under arrest and facing seven charges of wire fraud. Each of charges carries a maximum of 20 years in prison. He has been arrested and is being detained without bond. An affidavit filed by FBI Special Agent Michael J. Wojciga claims Takhtarawanji was paid $5,000 to come to Connecticut from Florida to oversee the ring. 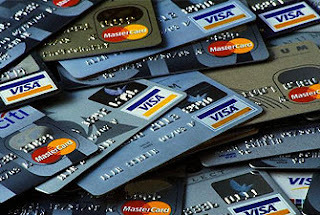 Here helped recruit Arab nationals to apply for credit cards, run the cards to their maximum, pay off a portion with fraudulent checks and then apply for larger credit lines. At some point, the cards were maxed out and the individuals left the area and in some cases, the country. One participant had 64 different cards on which $238,000 was drawn. Among the victims were American Express, Bank of America, Chase and People's Bank. Assistant U.S. Attorney Stephen Reynolds is prosecuting the case.